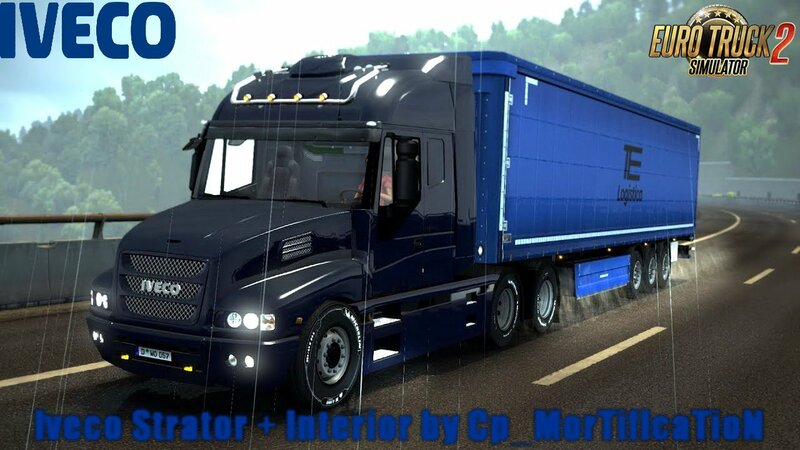 Iveco Strator + Interior v4.1 by Cp_MorTifIcaTioN (1.30.x) for Euro Truck Simulator 2 game. Add new crawler transmission (Town over 200t) for 6 position h-shifter. 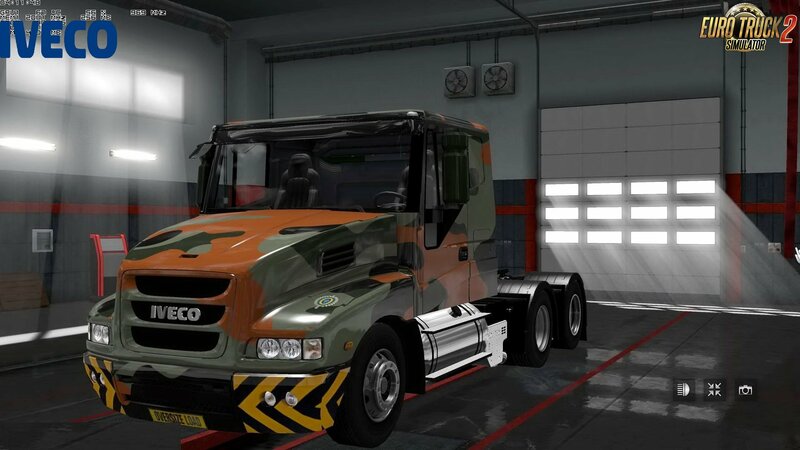 Add new iveco sounds (euro 9, euro 10, euro 11 and euro 13). 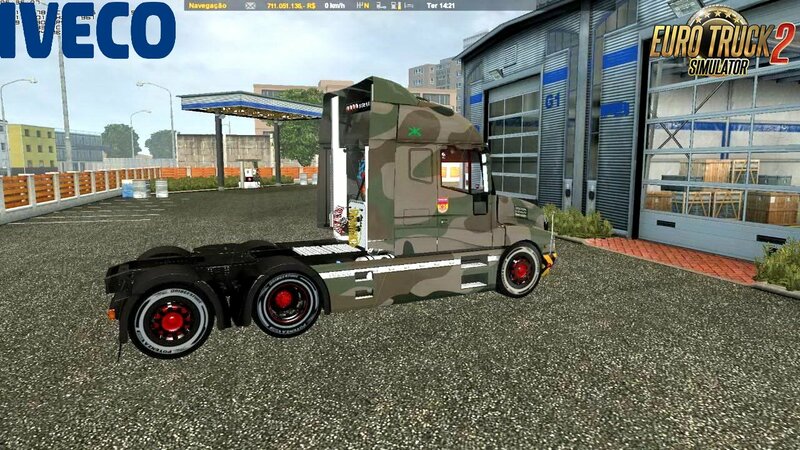 Add new Cummins ISX engines (from powerstar 7200) with sound (from VNL). 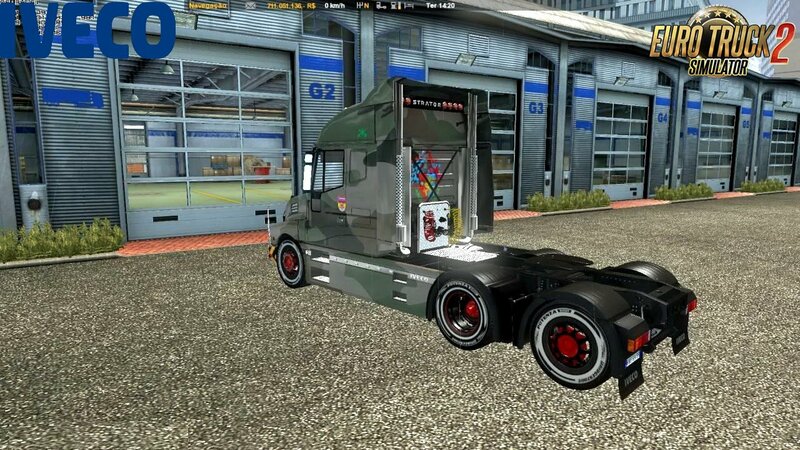 Add new military overload paintjobs. 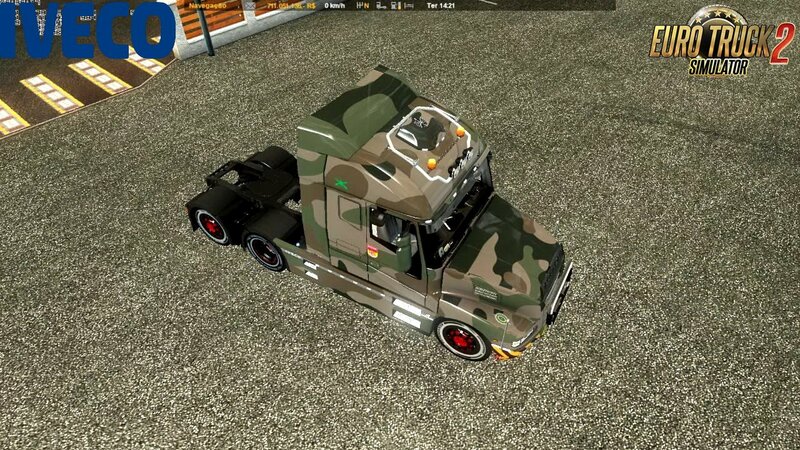 Add SCI wheels compatibility file.